Box showcase from traditional Mexican crafts. Made by hand in Mexico. Mini-showcase with couple of handmade terracotta skeletons. This small showcase represents the eternal love of two beautiful girls. Characters made, dressed and painted in terracotta. Box made and decorated by hand in Mexico. 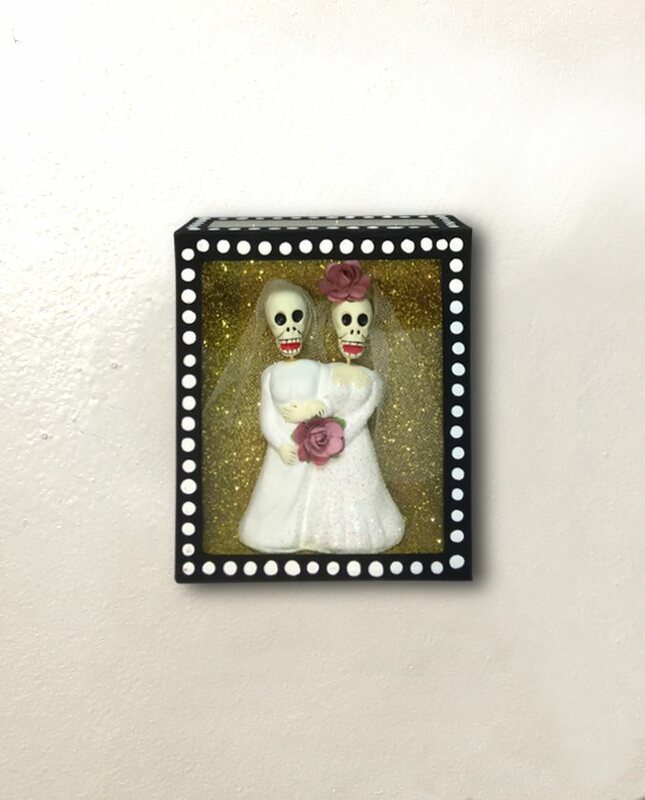 SKU: VM 1882 Categories: Home decoration, Nichos (Showcases) Tags: Day of the dead, Maison et objet 2018, Vivan Los Muertos !